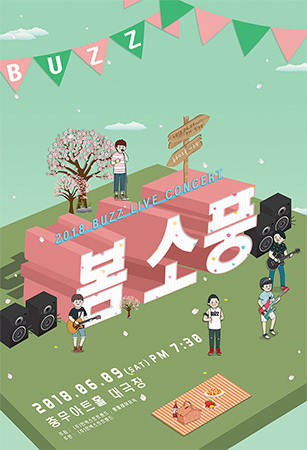 The group BUZZ will be holding their annual “Let’s go on a Picnic” spring concert and fan meeting from June 9-10 at Chungmu Art Center. As the group’s “Spring Picnic” concert is only held once a year, the group is planning on performing rare songs that have not been heard live. BUZZ will also be holding a fan meet-and-greet event on the second day, which will be the first such event since 2014 when they held one to celebrate coming back together as a group after an eight year hiatus.